As we look more closely at skin characteristics such as their functions, types and needs, we are deepening our understanding of the importance of skin care. With a surface of about 2 square meters, the skin is the largest organ of the body and one of the most important. It is an effective barrier against the outside world thanks to its ingenious mechanisms of protection. Our skin is alive and responds to changes and external stimuli. Taking care of the skin early is a real investment that will determine our future appearance. To maintain beautiful , healthy skin and slow down your ageing process , it should be protected and supplemented to take care of its delicate balance. 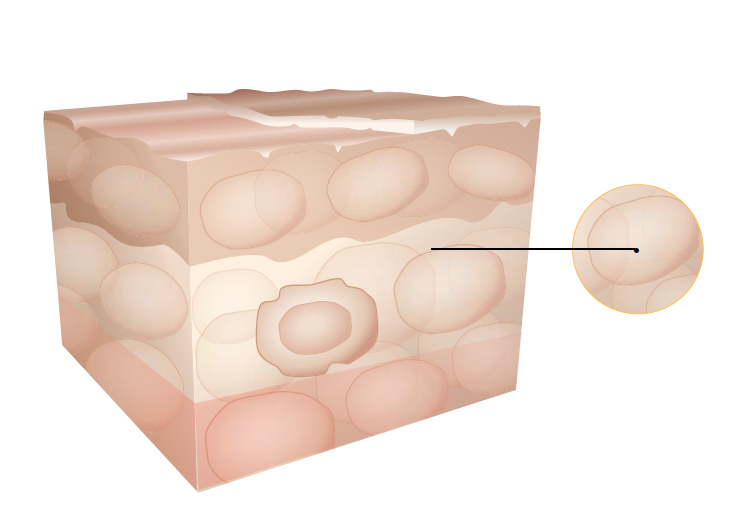 Absorption – Skin has a limited ability to probe through the pores. Fortunately, certain fats, creams and oils are able to penetrate the skin in order to restore lost flexibility . In the epidermis, we find the body barrier that protects against the environment . In addition, it is in the epidermis that the process of cell renewal occurs. 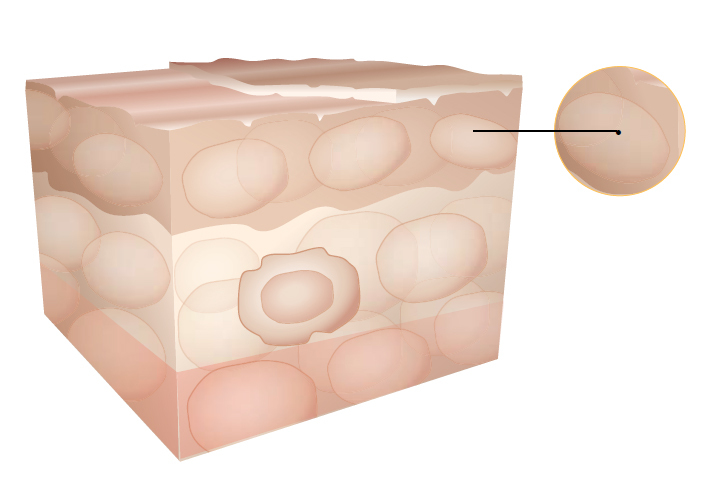 The epidermis, in turn is composed of several layers, one of which is called the stratum corneum consisting of flat cells. Our skin is constantly being renewed, with the cells on the surface being replaced by new cells. Under normal conditions we lose about a gram of dead skin cells every day. After one year, we lose approximately 0.45 kg of skin and about 27 kg for a lifetime. 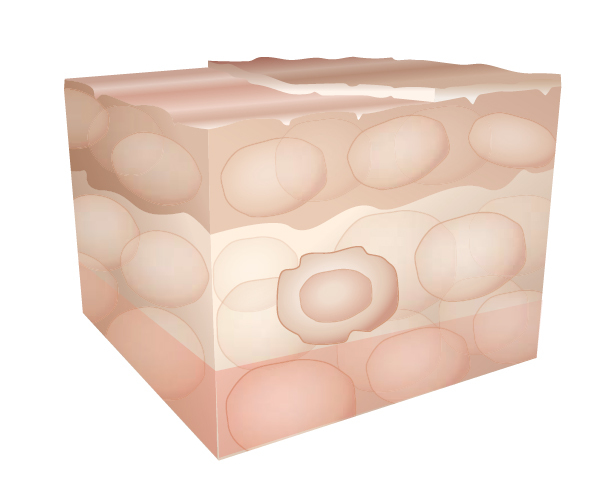 From the basal cells, in the lower layer of the epidermis, new skin cells are formed. From there they migrate to the surface. On the way, they undergo many changes. A substance called keratin is inserted into the cells, changing the metabolism and shape of the cells, becoming flat, plaque-like. 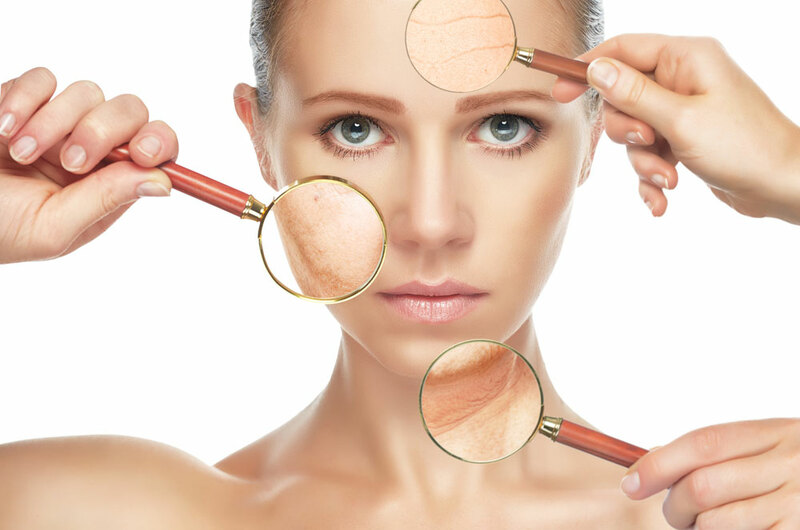 This two to three week process results in the formation of the stratum corneum – a thin but extremely strong membrane that is the barrier that protects the body from the environment. The function of this layer of skin is to protect the tissue against external substances, microorganisms and other harmful effects, at the same time protect against loss of fluid. The creams penetrate the epidermis, moisturizing and softening the skin. 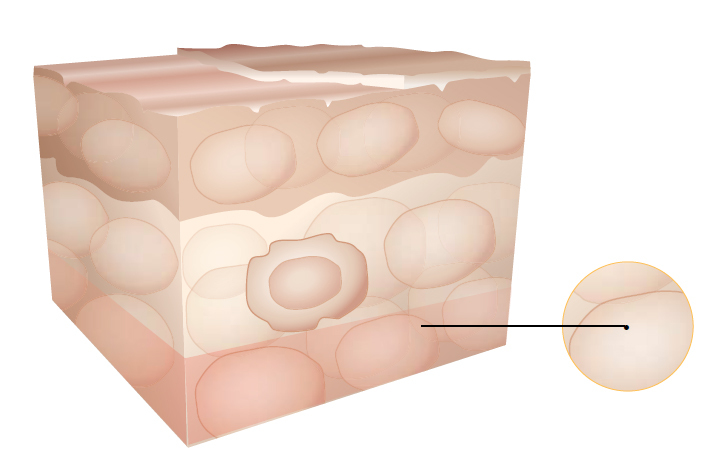 The dermis is the layer just below the epidermis. It consists largely of connective tissue and is formed by collagen and elastin. Collagen firmens the skin. Elastin makes the skin elastic and supple. The composition of the connective tissue gives the skin its elasticity and resistance. At the border between the epidermis and the dermis we found fine nerves that register sensations and changes in touch, pain or temperature. Incorporated into the dermis are also present other structures such as hair, sebaceous glands, blood vessels that not only provide nutrients and eliminate waste but also play an important role in controlling body temperature. In cold environments, the blood vessels contract and the blood circulation decreases and the skin becomes pale. In warmer climates the blood vessels expand and the skin becomes red. The dermis is the skin’s water reservoir, which is made up of proteoglycans that moisturize. Tattoo ink is injected into the dermis. Striae from pregnancy are also located in the dermis. The human body is made up of 70% water and the skin contains a quarter of this value. That is why it is very important to drink enough water every day (1.5 to 2 liters) to avoid dehydration of the body and skin. The human body is made up of 70% water and the skin contains a quarter of this value. That is why it is very important to drink enough water every day (1.5 to 2 liters) to avoid dehydration of the body and skin. The human body is made up of 70% water and the skin contains a quarter of this value. That is why it is very important to drink enough water every day (1.5 to 2 liters) to avoid dehydration of the body and skin. The hypodermis consists of frown connective tissue with incorporated fat cells. It is the energy reserve of the skin. Subcuticular fat acts as a thermal insulator and protects against pressure and shocks. The number of fat cells, which are the thickness of adipose tissue, varies in different parts of the body. The number of fat cells can have hereditary causes, but diet also plays an important role. Hypodermia regulates body temperature . 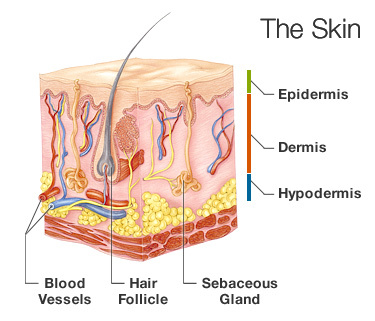 The structure of our skin is also formed in the hypodermis. The “hills and valleys” of the subcutaneous tissue give our skin a characteristic appearance with fine lines and cavities, for example, cellulite in the hips, buttocks, etc.